Do you have a picky eater on your hands? Maybe your kiddo is dealing with a dietary restriction such as lactose intolerance or a gluten sensitivity. If so, they are probably facing the dilemma of not getting enough of certain vitamins and minerals in their diet. From strong teeth and flexible joints to overall health, children benefit greatly from a diet that is high in nutrients they need for their development. If your child faces a dietary restriction or simply hates foods that can provide them with what they need, you may be wondering how, as a parent, you can sneak these important vitamins into your child’s diet without too much fuss. When searching for a solution, you may find multivitamins to be an interesting solution. 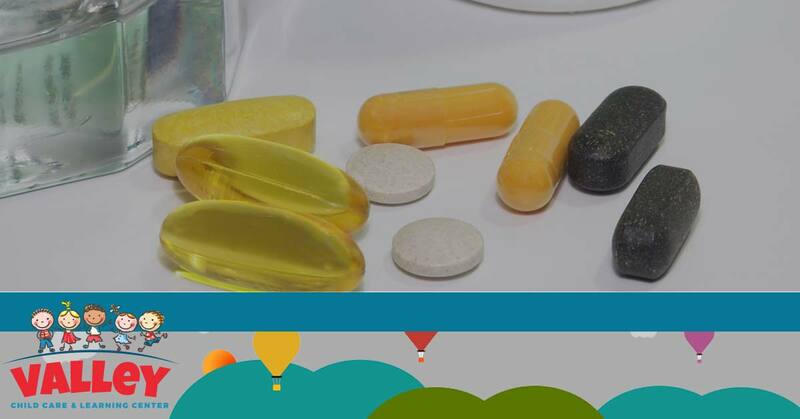 While there are always pros and cons, Valley Learning Centers wants to run through some of the benefits and positive uses of a multivitamin for your child and how it can promote early learning of quality dietary habits. No, not everyone enjoys eating broccoli, carrots, or fish, especially young children. Many of the foods that children refuse to eat also provide them with important ingredients like vitamin A, which promotes growth and development of numerous systems in the body, especially eyesight. Parents who run into this issue have some choices. The first is continually fight with their children, trying to convince them that tilapia tastes just as good as chicken nuggets and facing the ensuing tantrum when it is found to be untrue, or give your youngster the option of taking a multivitamin. Not only will taking a multivitamin take far less convincing with your child, but will also ensure any nutrients they missed throughout a day’s worth of eating are recovered. Gluten sensitivity and lactose intolerance are becoming more prevalent as more information is discovered about each. When it comes to your child’s health and safety, foods will need to be cut out of a diet entirely to ensure there are no dire adverse effects that come from eating an allergen. As such, these restrictions and intolerances can lead to children having dietary gaps when it comes to vitamins that are essential to growth and development. A lactose intolerant child, for example, shouldn’t be drinking milk at lunch or during their after school program, which means they will lose out on an opportunity for a great deal of calcium intake. For a youngster, calcium is crucial to developing strong teeth as well as healthy bones and joints. Without it, they run the risk of brittle bones, fragile teeth, and other preventable ailments. A multivitamin that has a focus or concentration of specific vitamins or minerals like calcium and iron can be highly beneficial in these cases. Rather than running around worrying about what foods you can find to supplement a diet, multivitamins make a great alternative for healthy children. Valley Learning Center wants to ensure your youngster has the healthiest life possible. If they have an allergy, food restriction, or just don’t like certain things, we will make sure they are taken care of. Whether you are looking for a day care, preschool, or early learning center, Valley Learning Center is the best option in the Phoenix area. Stop by or give us a call and experience the difference for yourself!